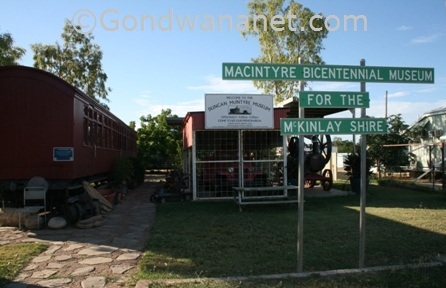 Julia Creek is a small Queensland outback town. 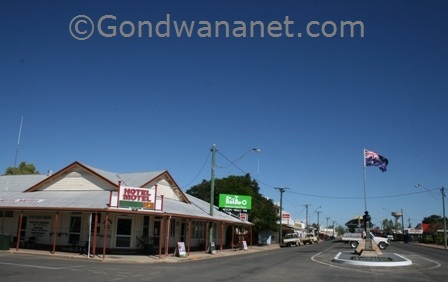 It is a small town in north western Queensland, along Flinders Highway. 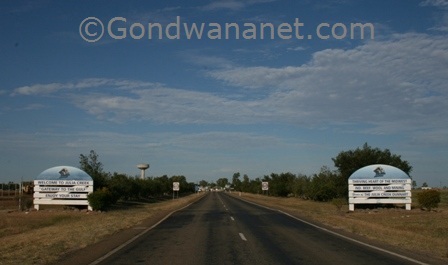 Between Richmond in the east and Cloncurry in the west. It is a quiet town with nothing much going on except the passing cattle trucks, and one of the photographed landmarks is its water tower. There are a few pubs, shops and the usual, as well as a caravan park. 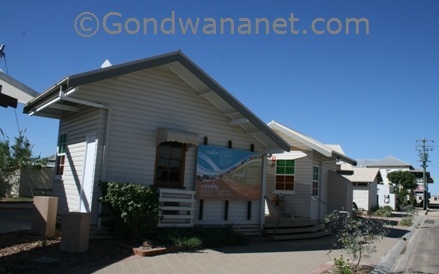 There is also an interesting museum in the main street, and free movies about the town and the area at the Visitor Information Centre. 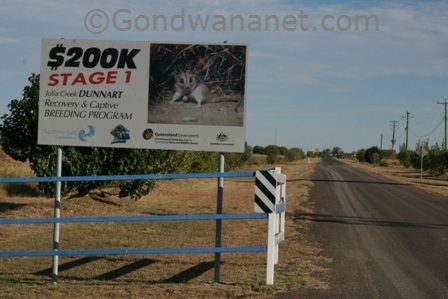 The area is also known for its own species of dunnart, found no-where else, and a recovery and captive breeding program has started in the outskirts of the town.